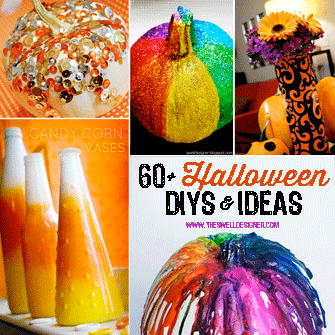 Forget the orange and black pumpkin decor this year and really do it up BIG! 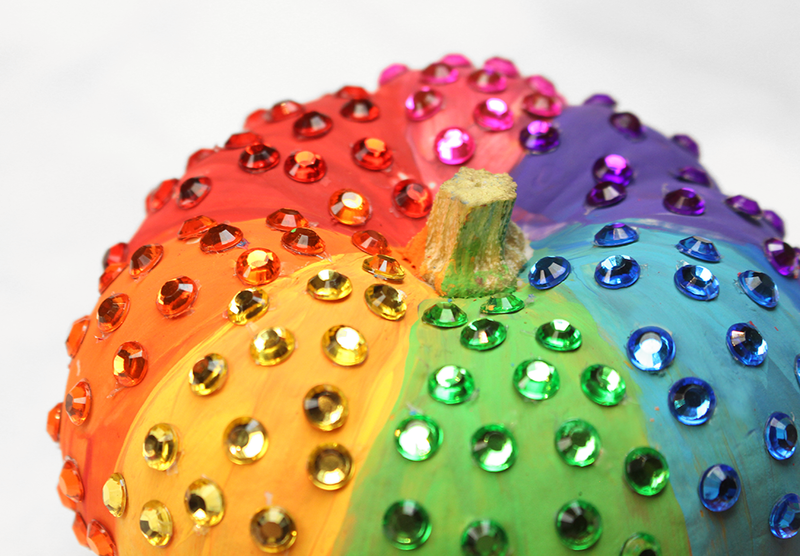 Cause nothin’ says BIG like unloading a freakin’ rainbow of color onto a mini pumpkin. I’m kinda obsessed with this little DIY cause it combines both sparkle and color together for an absolute feast for the eyes. And this is something you can make in just under and hour. Let me show you how it is done! 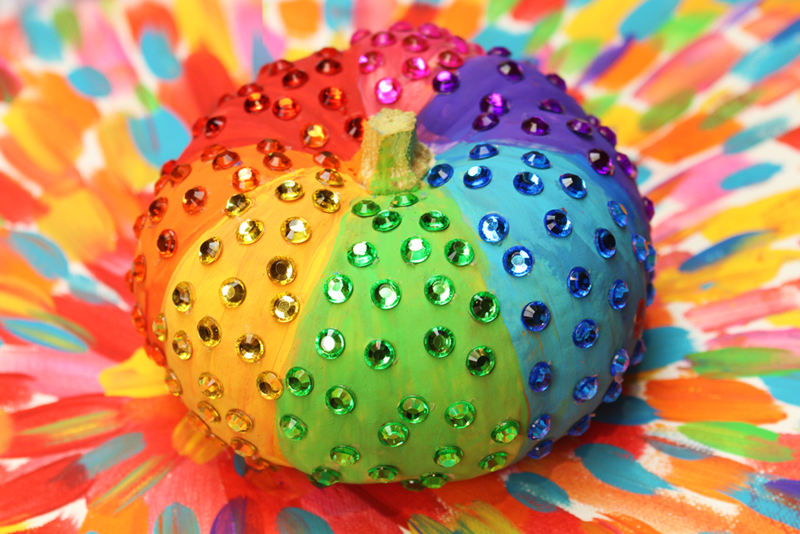 I have to admit something before I begin telling you how to make this pumpkin……it is so insanely easy to make. The majority of the work involves painting on the paint and letting it dry. 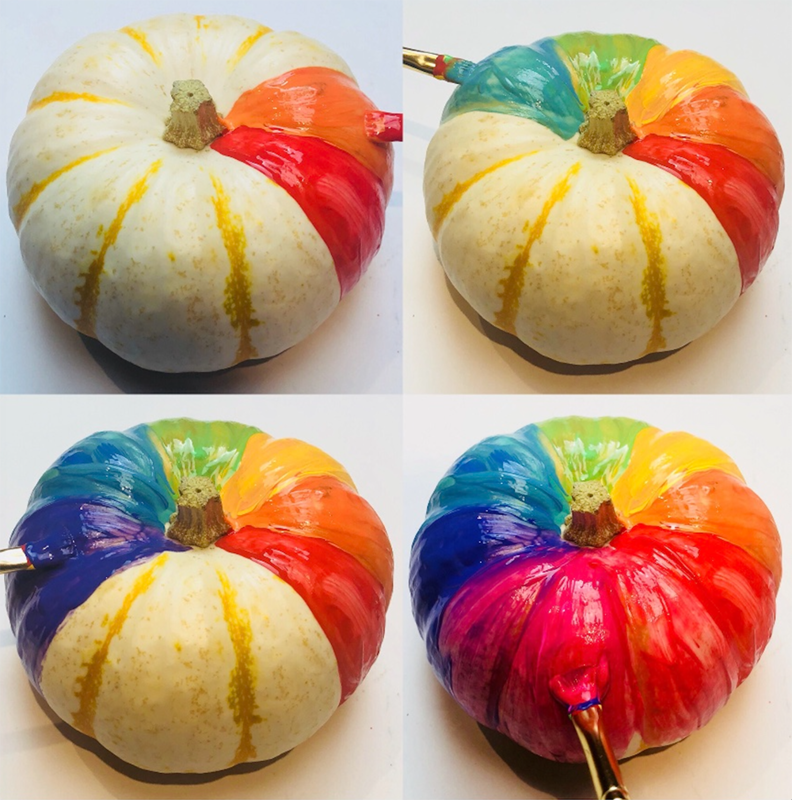 I went around the pumpkin, separating the colored sections by the ribs. Go around the pumpkin once, then go around it again to get two solid coats. Let dry thoroughly. Make sure to turn over and finish off the bottom (or don’t worry about it if the bottom isn’t going to show). 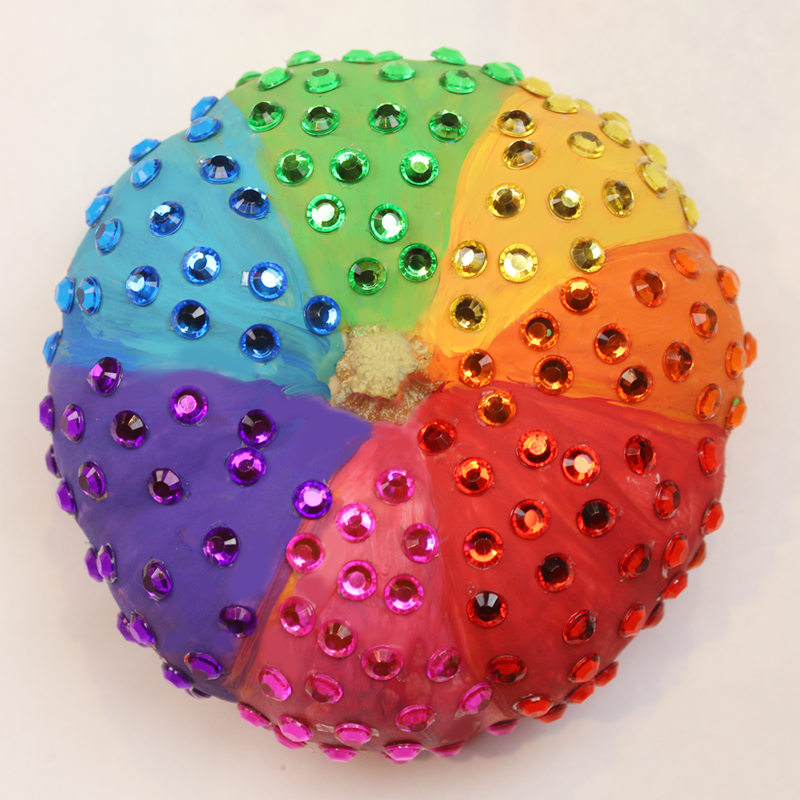 Next, use the coordinating color rhinestone sticker and position in the coordinating color section. 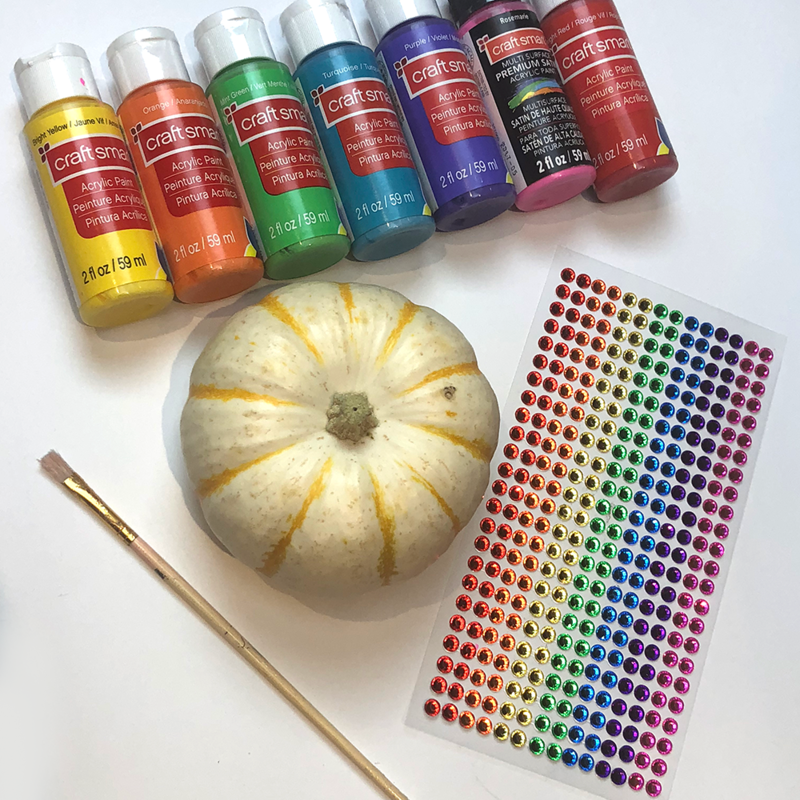 This is literally a pull off and stick process, but you will want to make sure you space them in random polka dot style all around around your pumpkin. And here’s the finished result. SWOON!!!!!! 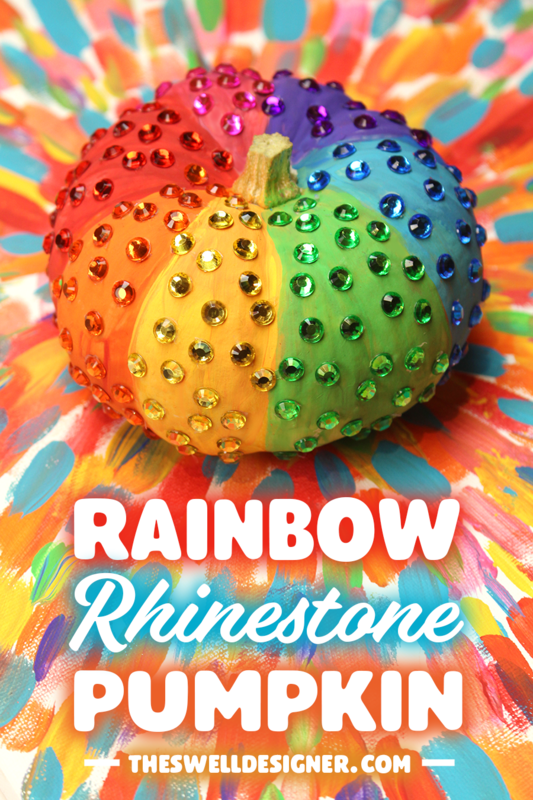 This is a super fun craft to make for your rainbow-obsessed friends to give as a fall gift for their office or home. 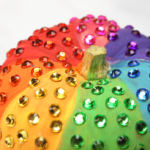 If you aren’t a fan of rainbow, consider painting your pumpkin a solid color, then adding tone on tone rhinestone dots. 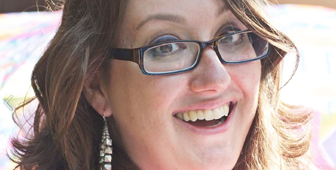 You could also use a complementary color for fun contrast!